Little Life Savers at Home is written by Stella McCallum, beautifully illustrated by Alan and Dennis Poole. Stella wrote the book when she was frustrated by the lack of books for teaching preschoolers what to do in an emergency. At the time she had young children who she wanted to help educate around safety in the home. Little Life Savers at Home is written in a constructive and non-threatening way and includes discussion points for adults to use when talking to children. The book includes information about what to do if a caregiver falls ill, if there was an earthquake or even a fire. 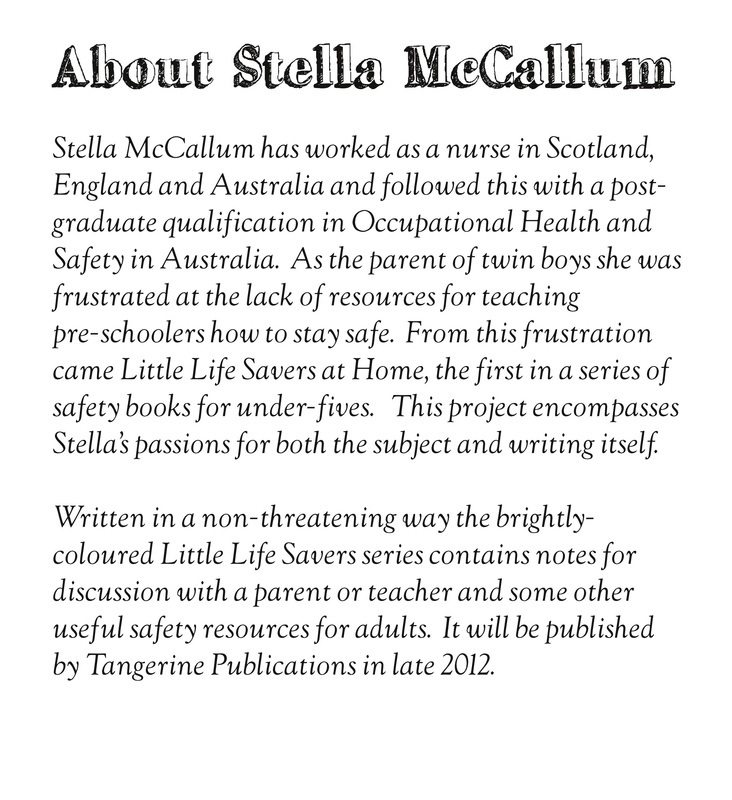 Stella has also written an Australian version of Little Life Savers at Home: Little Australian Life Savers at Home. Stella McCallum is interviewed by Access Radio about her book, Little Life Savers at home, in February 2013.